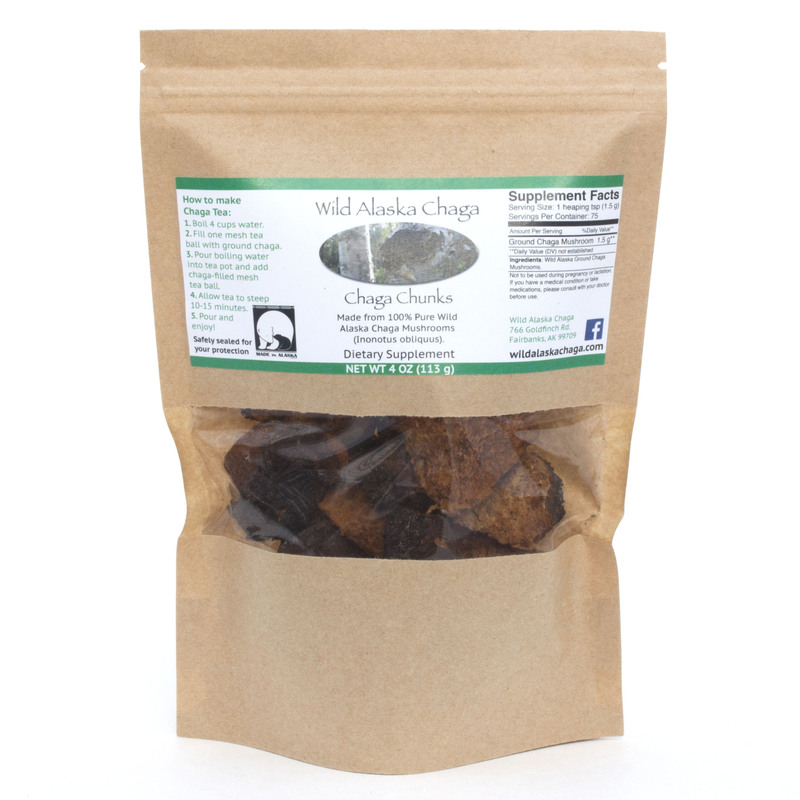 100% pure wild Alaska mushroom chunks (Inonotus obliquus) collected from the pristine wilderness of Interior Alaska. Sustainably-harvested and dried to perfection for use in tea or other concoctions. Our 4 oz chaga chunks are safely sealed in a convenient resealable storage bag to maintain freshness. Our chaga tea recipe is printed on the label (pictured below), but for more information check out our instructional video: How to Make Chaga Tea. Remember that chaga tea is a mild, pleasant, non-caffeinated beverage. We enjoy it plain, but sugar or honey can be added to taste. Delivered fast via USPS Priority Mail. Start feeling better and order your chaga chunks today!